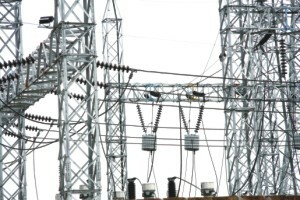 With a plan to install 7000 megawatt worth of power by the year 2014, something that demands financing worth of US 10 billion dollars - a significant part of which would come from the private sector - the Awami League government has opened up the avenue for the biggest opportunity of private investment since the country's independence. In addition, the one-year-old government is working on developing the country's much ignored coal sector. Once the government gives the go-ahead for the much-awaited coal policy, the draft of which is being discussed for the last four years, the country's coal sector would also open up multi-billion dollars worth of investment opportunities for the private sector over a long period of time. A host of other policy decisions also promise new investment opportunities. For instance, the government's withdrawal of all taxes and tariffs on renewable energy like solar power has already encouraged imports and private initiatives to set up solar power facilities. The government has also planned installation of a terminal in the Bay of Bengal to facilitate off-loading imported Liquefied Natural Gas (LNG). Energy crisis is affecting national growth. While some may term these plans 'unrealistic' since they seek billions of dollars worth of investment both in public and private sectors, these have actually come up as “bulk planning” because of past lack of government initiatives. The energy crisis is already affecting national growth and stopping investment in the manufacturing sector. If the government does not act immediately on these plans, in a few years, the nation will pay dearly. This leaves the country with an unavoidable challenge. How does Bangladesh ensure so much investment within the next four years? Leaving the responsibility of the majority share of investment on the private sector alone does not solve the problembecause the private sector will ultimately need the government's assurance of a return on their investment. Again, much of this investment by the private sector will derive from financial institutions and local and international banks. These financial institutions will pump in their money only if they are convinced that the nation has the ability to pay back the loans. More investment in the energy sector is needed. The government has apparently thought of these issues. That is why it has developed a private-public participation (PPP) policy. The idea is that the private sector investors will share the risk with the public sector in large investment scenarios such as a coal-fired power project or an LNG terminal. This participation will reduce the private sector's risk factor. The PPP framework, however, is yet to be approved by the government. The international financing institutions including the World Bank and the Asian Development Bank would play the key role in financing these projects. Right now, the World Bank is giving priority to the energy sector projects in the country. Thirdly, not all the 10 plus billion dollar investment in the energy sector would derive from international financiers. The government has taken into cognisance the excess liquidity of the local banks to the tune of more than Tk 30,000 crore (around 4.2 billion dollars) and is aiming at getting 25 to 30 percent financing from the local banks till 2014. In this aspect, the government has already discussed with the banks how they can help with this financing. Energy security is crucial to facing the challenges of the new decade. The government, moreover, is also encouraging non-resident Bangladeshi investors in this sector and thinking about turning to the share market to raise funds. All of these demand serious execution of plans at various levels of the government. Different government agencies have taken preparations to float tenders. Some of the tenders have already been floated, but these are not being conducted as efficiently or transparently as we would hope for. Local entrepreneurs who have been waiting for investment opportunities for a long time, but could not get one due to lack of government initiatives, feel that the key to attract investors to take the risk in costly ventures, is to ensure public confidence. If the tendering process does not appear fair, genuine bidders will gradually refrain from participating in the bidsleaving all the jobs to inept contractors who would not be able to deliver the desired results.